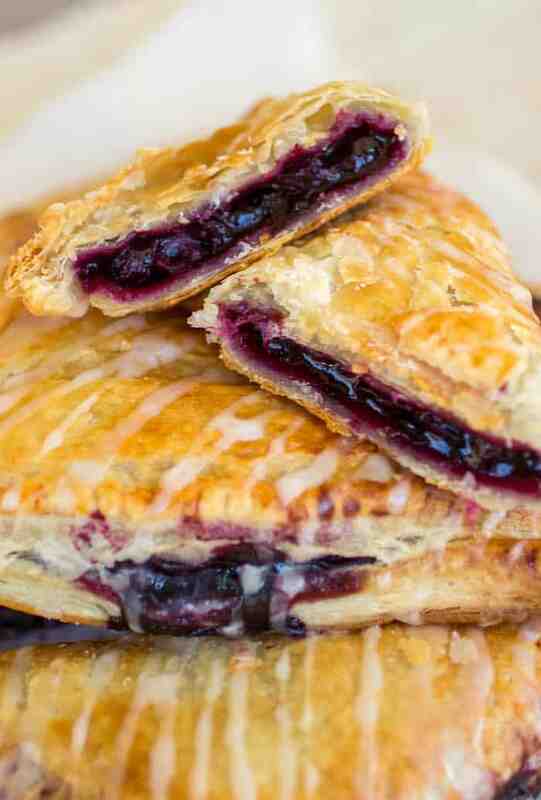 Flakey pastry dough is filled with gooey homemade blueberry filling and topped with a sweet vanilla glaze. Breakfast pastries are my love language. I love going to bakeries and picking out all of the delicious stuff. My favorite are the fruit-filled pastries with flaky crusts. UGH, so good! 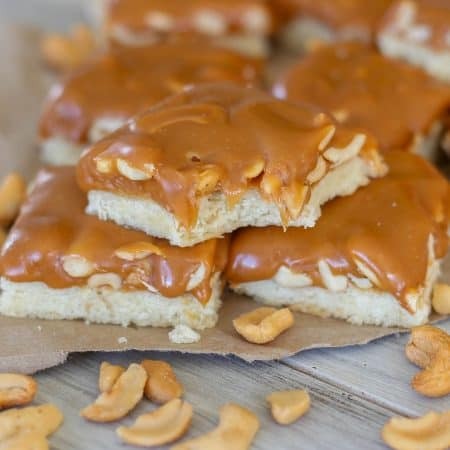 They’re so good for breakfast with a cup of coffee. 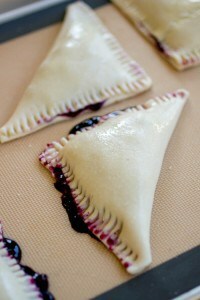 These blueberry turnovers are SO good and SO simple to make. I feel like I say that about everything, but really, so easy. 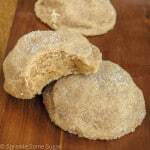 The dough I used is store-bought and you would NOT even know it! Wewalks puff pastry dough is honestly the best dough I’ve ever tried. I’m not being paid to say these things, it is simply the best ever. 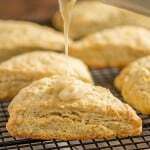 It comes out crispy, flakey, buttery and just so, so perfect. You know you have an awesome puff pastry dough when there are little flakes on your lap leftover from each bite. The filling is homemade and is prepared by using frozen blueberries. You heat them on the stovetop along with some lemon juice and sugar until they are nice and juicy and saucy. You’ll stir in some corn starch + water and gently boil it to thicken it up. And that’s it! Pretty simple and 100x better than buying store-bought preserves. Just wait until you see or SMELLLLL them coming out of the oven – it’s pure gooey, golden bliss! Heat berries, sugar and lemon juice on the stovetop in a medium-sized saucepan on low heat for abut ten minutes or until the berries start releasing their juices, stirring frequently. 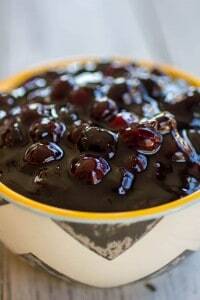 Once there is a lot of juice, mix cornstarch and water together and stir into the blueberry mixture. Bring to a gentle boil and simmer for 2-3 minutes, stirring constantly until thickened. Cool filling until warm to the touch before filling dough. Take your puff pastry sheet and cut it into 6 equal squares. Distribute filling evenly in the center of each square. 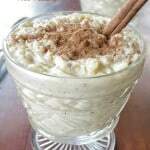 Whisk egg and water together in a small bowl and brush on the edges of the dough before folding over into a triangle shape and pinching the edges closed with a fork. 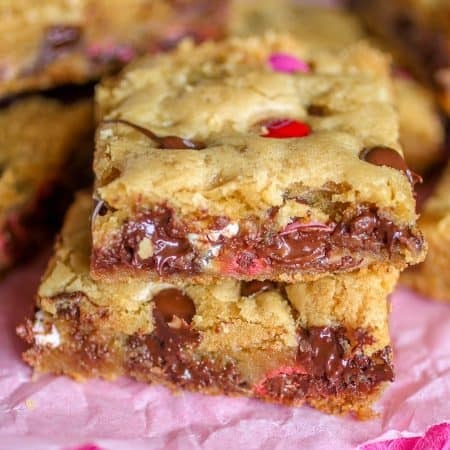 The filling might squish out a little bit, but that's okay. Brush the tops of the triangles with more egg wash and sprinkle tops with sugar. Preheat oven according to puff pastry's manufacturer's instructions and bake for 15-20 minutes or until light golden brown. Allow them to cool slightly. Prepare glaze while they are cooling. 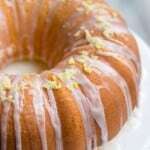 Whisk confectioner's sugar, vanilla and cream or milk together until smooth. Drizzle over warm pastries. 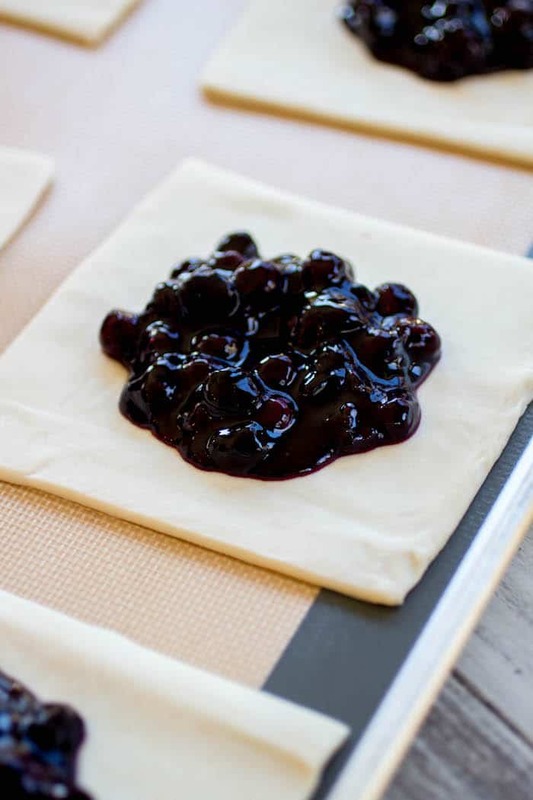 Blueberry Turnovers will stay fresh for up to 3 days stored in an airtight container at room temperature. 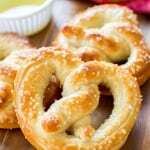 To crisp them up again, place in a toaster oven for a few minutes and they are good as new! 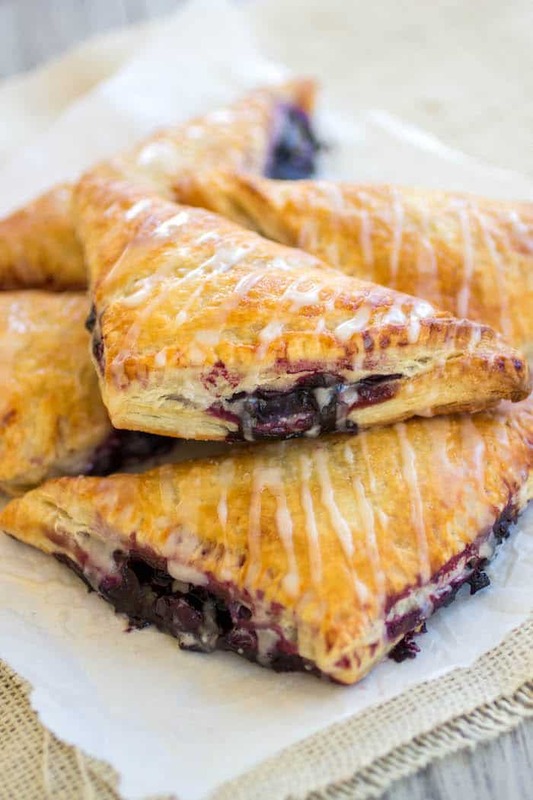 Jessica these turnovers are amazing!! Blueberries are my favorite and these are PACKED! You can’t go wrong with a good turnover! Love the bursts of blueberries! Oh My Delicious. I’m allergic to blueberries, but I think I could easily adapt with blackberries or cherries, no? What a great treat! I love the blueberries, but am thinking that you could sub most any fruit! Very nice! 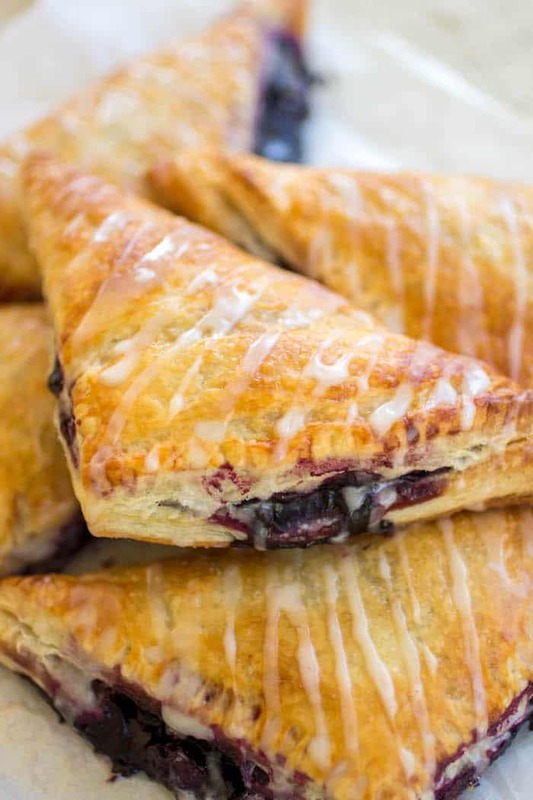 Oh my, do those turnovers ever look good! I’m wishing that some of them were going to be a part of our Mother’s Day brunch tomorrow. Ahh, they would be so perfect for a brunch! Super delicious!! 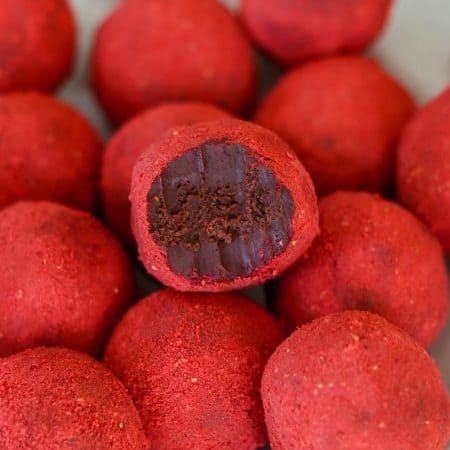 I am dying to try these! Love that they’re made with puff pastry! Breakfast or dessert perfection! Especially with some vanilla yogurt or ice cream…..so delicious! 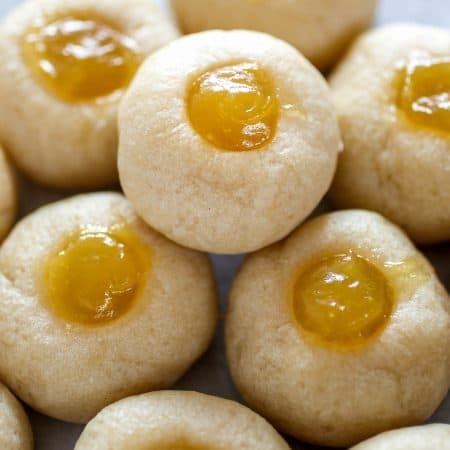 What temperature do you use to bake these? Follow the manufacturer’s instructions on the package you choose to use. Perhaps a little clarification in the instructions is needed because I did fumble through parts. Such as: temperature to heat the berries at, and include the part to follow along with manufacture’s directions for baking temperatures. I used the Tenderflake brand (which comes in a small brick) rolled out to 9″x12″ (approximately), baked for 15 minutes at 400ºF. I did have to rotate my baking sheet half way through the time because my oven does not distribute heat well. Sorry for the confusion, Amy! 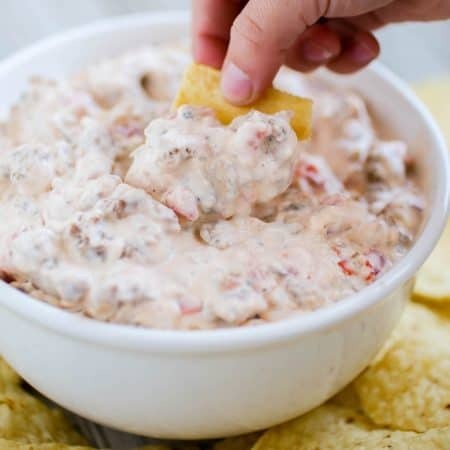 You are absolutely right and I have just corrected the recipe with those additions. I’m happy you enjoyed these turnovers! They’re one of my favorites. Can you freeze these? And if so, how would you freeze them. 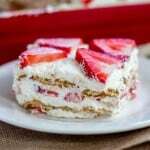 Freeze after baking, thaw overnight in the fridge the night before you would like to serve them. 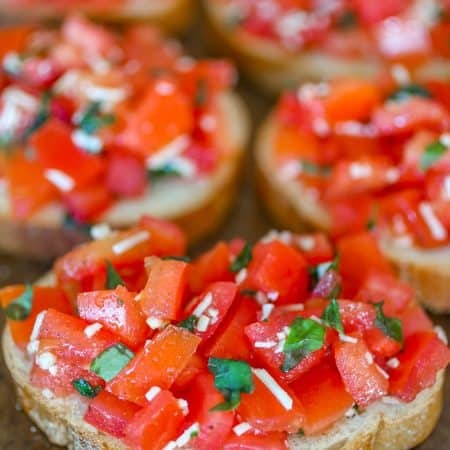 Before serving, pop them in the oven again to make them warm and crisp them up. 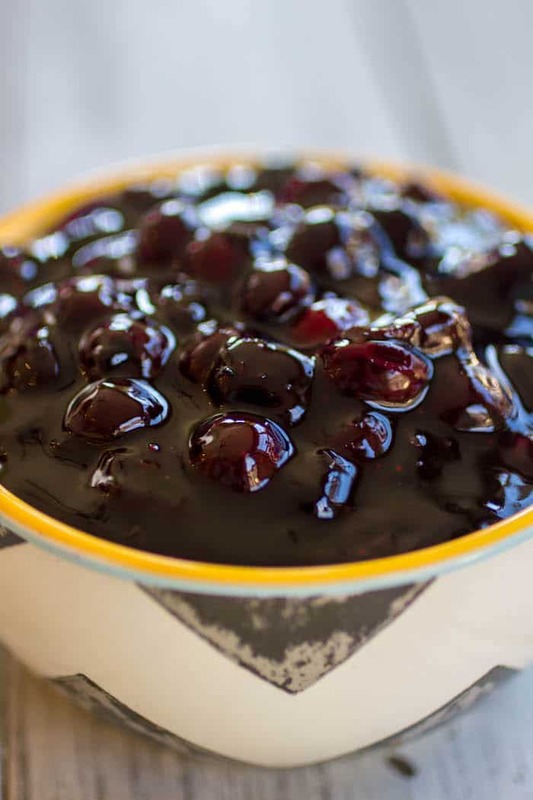 Hey I have freshly picked blueberries that I think would be delish in this recipe but they arent frozen will that affect the sause making process? Nope! Just mash them a little more. What are the dimensions of the puff pastry? The only one available in my local grocery was a square which you can never get squares put out of squares unless cutting it in half…. These came out great. I made them with frozen small Maine blueberries, reduced the sugar a little, and added a couple sprinkles of cinnamon to the blueberries. Didn’t have time to put on the drizzle, because my boys ate them all before I could do it. It clearly wasn’t missed. Thanks! How would you change this recipe to use fresh blueberries?